This guide will help you understand every aspect of product kitting and show you ways to apply it in your own operation. First we’ll take a look at what product kitting is and why it’s useful in ecommerce sales. Then we’ll explore samples of product kitting in action in various ecommerce settings. After that, we’ll look at three ways to manage kitting: in-house, via fulfillment partners, or through your product vendors. 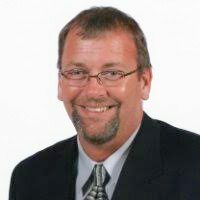 Using a fulfillment partner like ShipBob is a great option for product kitting since they already have excellent product management in place. ShipBob will store your kit items, professionally pack them, and ship them using the lowest rate. Click here to speak with a representative and get $100 off. Product kitting, also called product bundling in some software systems, is an inventory management term that refers to the process of combining single items into one unit for sale. When a kitted item is purchased, the inventory system automatically links each single item to the sale. Goods sold both by the piece and as part of as a set, subscription box products, and products assembled on order all are examples of kitting in action. Why Use Product Kitting for Ecommerce? The kitting process is an extremely useful merchandising tool for ecommerce sellers, mainly because it lets you do much more with your existing stock. 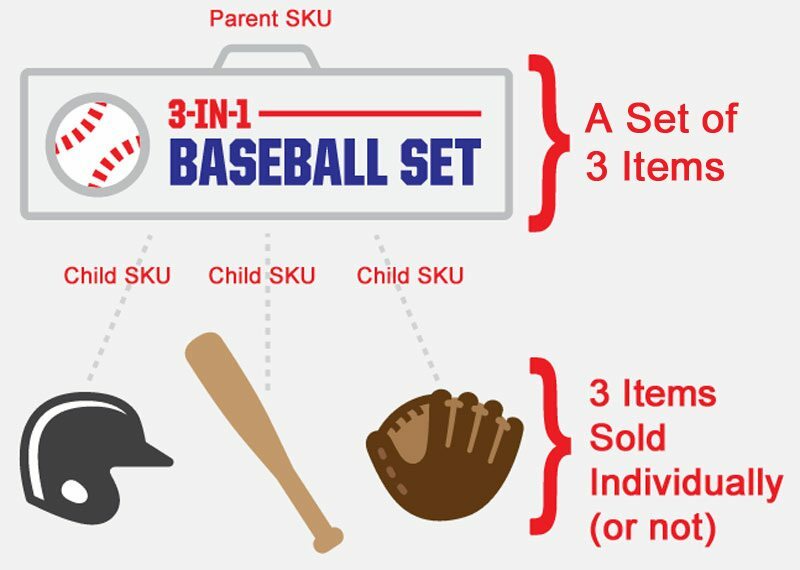 Using kitting, you can easily bundle items that you sell by the piece to create merchandising options like discounted sets, cross-sell promotions, special deals, and more. Kitted items give you more products to market, plus more categories and pages to optimize for the search engines. And the best part? Extending your collection through kitting doesn’t add inventory or storage costs since you already purchase and stock these items. Beyond a little merchandising creativity, the only thing product kitting really requires is an inventory system that supports it, which we’ll discuss in detail below. We’ve looked at one example of product kitting in action. Now let’s explore four more real-life examples of kitting in small ecommerce operations. This is one way I use product kitting in my own online store. Packed-to-order sets are a great way to offer your customers choices in set quantities, colors, and product mix. In my operation, we sell plastic drinkware and dishes by the piece, so customers can order anywhere from one to 1000 of any item we carry. Their choice. But we also offer sets, as shown above, that combine these same items in many different ways. We do this because over the years we discovered some customers don’t want choice, they want easy. Some people feel it’s easier to buy a set of 4 or 8 glasses, or a 24-piece dinnerware set, than it is to add items to their cart individually. Product kitting makes it possible for us to service both customer types all from the same inventory. Plus we can offer discounts on sets and encourage larger sales. “We sell high-quality custom challenge coins for commemorating events, honoring our heroes, awarding employees, and more. Our online store provides kitting and bundling for our products. Customers are free to order a variety of coins in one batch, as opposed to just one type of coin. Subscription boxes are a great example of kitting since they are a single package, potentially made up of many different products. Some are sold as-packed only, while others give their buyers the option to customize. 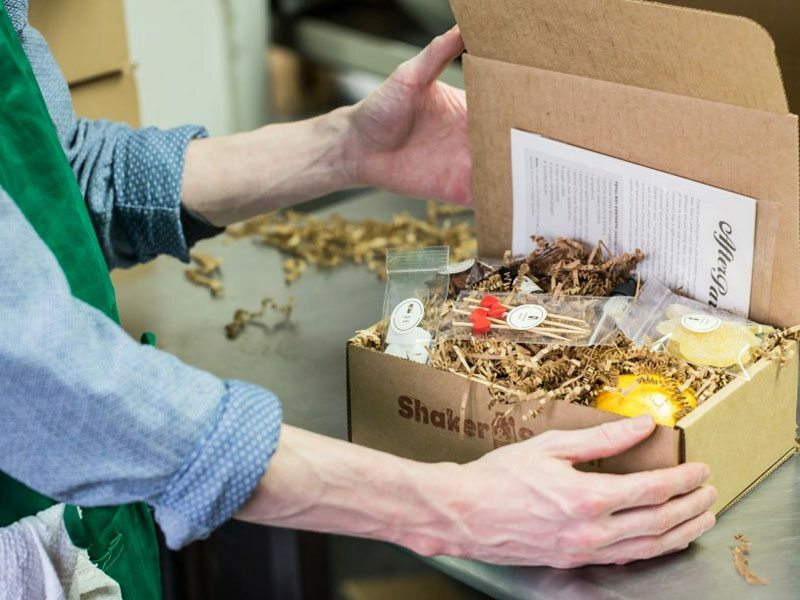 You can use a third party platform to help you run your subscription box service efficiently. Cratejoy provides the tools you’ll need, a marketplace to reach potential subscribers, subscription management services and billing. Product kitting with subscription boxes generates repeat customers for your business because buyers subscribe to receive a box every month. Click here to start a free 14 day trial with Cratejoy. Kitting is widely used to track parts inventory and reorders in manufacturing and assembly operations. For an ecommerce seller assembling good on order, kitting is an invaluable part of the process. In fact, it can even let you provide better service and more options to your customers. Say you sell built-to-order racing bikes. Since you stock parts individually, then assemble bikes when purchased, you can offer your customers many choices. For example, a Level One package has base-quality brakes and gears, while Level Two had upgraded brakes and gears. Using kitting, each level’s components are tracked separately in your inventory system and assigned to the appropriate package. So when a customer buys a bike with a Level One package, all of the Level One inventory components are automatically connected to the order, and the inventory for each component is reduced accordingly..
Like the bike example above, custom-made or personalized items can, from an inventory perspective, be considered assembled goods. 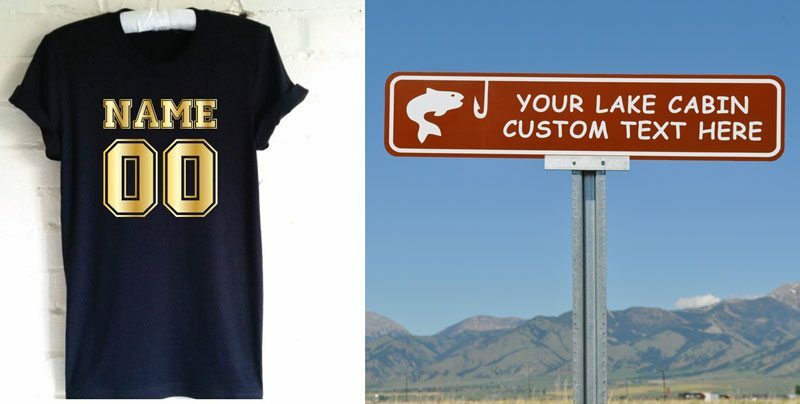 Say you custom-make personalized tee shirts and novelty signs, kitting can help you can track each material that goes into the product. 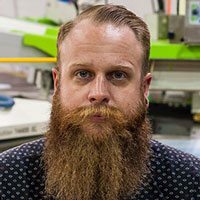 In this case, tee shirts, sign blanks, and vinyl imprint materials are tracked as unique inventory items so you know what you have on-hand, and what you need to reorder. Physically packing kitted products together to ship can be handled a few ways. 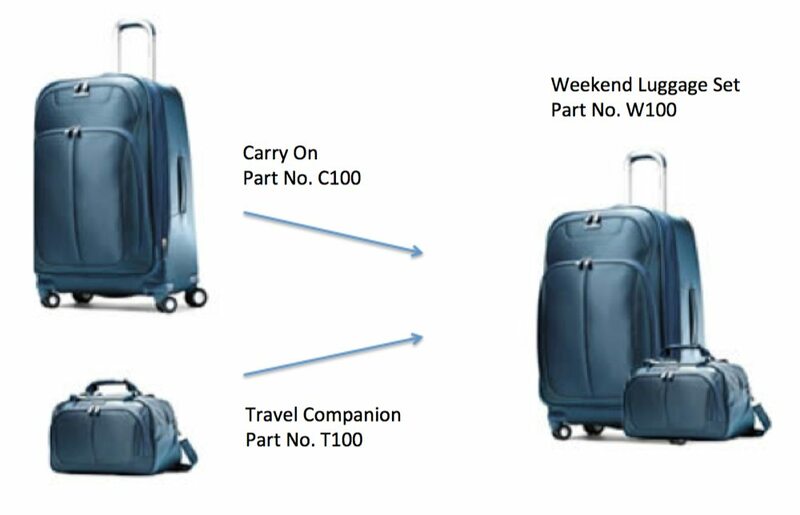 You can do it on-the-fly, meaning kitted items are stocked separately then packed together when ordered. Or, packing can be done in batches to fill a specific number of units at a time. With batch kitting, you pre-pack a supply of kitted items so they’re ready to ship, rather than combining them when ordered. Batch kitting can be useful for high-volume shipping, like product promotions, crowdfunding rewards, or monthly subscription boxes. “Our clients often use kitting to sell bundled products which are also inventoried and sold separately. Often, the bundles are assemblies of individual products. One prime example is this kitted item comprised of 8 different inventoried items. Note, it’s important that product availability is based on whichever component has the least available inventory. Remember, the items that make up a kitted item can be sold individually, too. Or, they can just be stocked as part of a kitted item, as in parts for assembled products. Even if you don’t sell each item individually, tracking parts as unique items makes inventory management and stock reorders accurate and efficient. Whether you’re kitting orders on-the-fly, assembling items made-to-order, or pre-packing kits in batches, the real key to managing kitting in-house is good inventory software. Believe me, tracking kitted items manually on spreadsheets usually ends up in a mess of inventory shortages and backorders. I use Ordoro which handles kitting beautifully, but many order management systems such as OrderHive, Finale Inventory, and even QuickBooks support kitting. You’ll see this called product bundling in some systems, but it’s the same concept. Some online stores’ inventory systems support kitting, too. For example, you can create and track inventory for kitted items in your Shopify store by adding the SG Product Kits app to your Shopify dashboard. 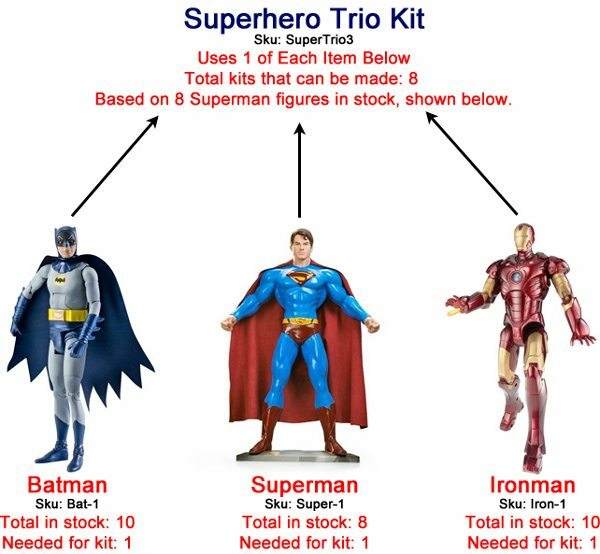 A big plus for using inventory software that supports kitting is that if a child sku is out-of-stock, the kitted item is considered unfillable, as shown below. And if your software integrates with your ecommerce store, the kitted item will also show out-of-stock on your website. This is a nice feature that prevents unexpected backorders and angry customers. If you don’t handle fulfillment yourself, here are other ways that you can enable kitting for your online store. If you use or plan to use a third-party fulfillment partner (3PL) to stock and ship your online orders, you’re in luck. Product kitting is a service that nearly all fulfillment companies offer. When interviewing, you need to understand how fulfillment companies work and ensure that prospective fulfillment partners offer this service. But you’ll find that most can meet a wide variety of order kitting needs. When interviewing a potential fulfillment partner, be sure to cover every detail of what you plan to ship. For example, batch-kitted subscription boxes and packed-per-order sets are handled in different ways and may have different costs. But the good news is that most fulfillment companies do a fair amount both. They can answer your questions and even make valuable suggestions. Plus, it’s likely they already have inventory management systems in place to handle every detail for you. Even if you handle daily order fulfillment yourself in-house, a fulfillment company can be a good option if you have a large batch-kitting project, like the one above. Say you have a big seasonal promotion and limited storage space. A fulfillment company can receive your stock, pre-pack your kits, then store and ship everything as a batch project. This leaves you free to handle your day-to-day fulfillment without interruption. New to fulfillment? Learn more about working with a fulfillment partner here, and see our comparison of top-rated fulfillment companies here. For some businesses, a fulfillment company is the clear solution for managing kitted orders. But there’s still one more option to consider: your product manufacturers. If you need to kit a quantity of goods made by the same manufacturer, don’t hesitate to ask them about kitting services. After all, their job is to produce items and package them for distribution. That’s kitting. Most are willing to pack custom sets or grouped items for you. They might even provide a custom wrap, box, or label at little or no extra charge. Vendors usually have an order minimum, but sometimes these are quite low. 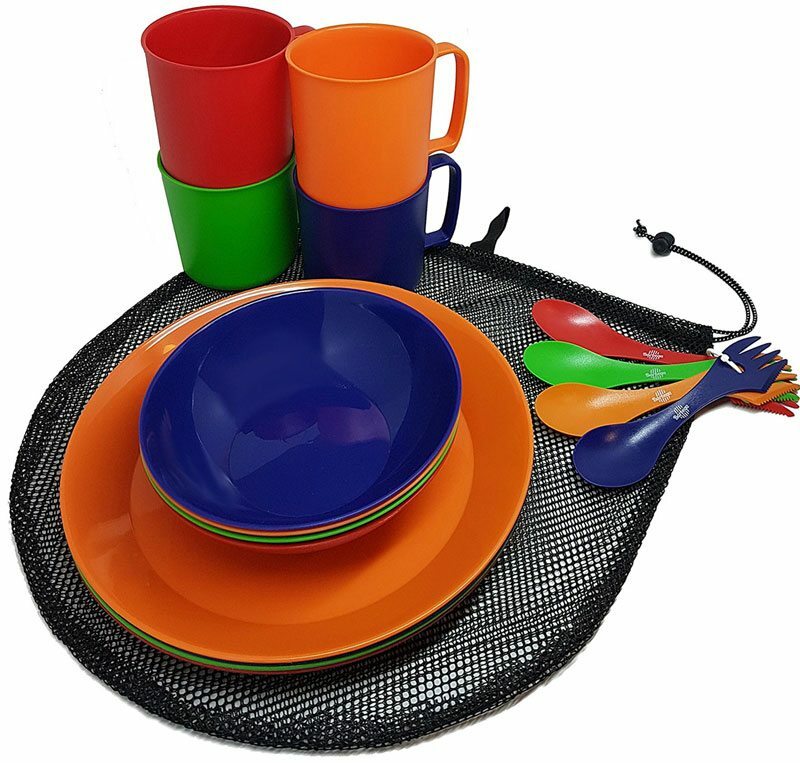 For example, I asked my US-based tableware manufacturer to custom-kit 144 sets of plastic tableware, like the set shown above. Surprisingly, they only charged me a 25¢-per-set bagging fee. It would have been more costly to pay my staff to do this. They even drop-shipped the order direct to my client, saving me an inbound shipping fee had I handled it in-house. So the entire project was highly cost-effective and completely turnkey. If you import goods, your minimums likely will be higher. But it never hurts to ask. You might be surprised what your vendors are willing to do for a good customer. Product kitting combines detailed inventory tracking with several packing processes to create all sorts of merchandising opportunities for online sellers. Since many ecommerce inventory systems support kitting nowadays, it’s something every online seller should understand and consider using to increase online sales without adding inventory costs. 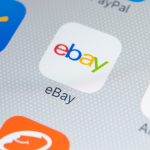 Kitting also is a key process for several online business models, such as subscription boxes, bundles savings sites, customized items, and made-to-order products. You can easily handle any or all of these kitting programs yourself in-house if you have inventory software that supports kitting. If you don’t handle order fulfillment yourself, or have limited space for large projects, using a third-party fulfillment center with loads of kitting experience can be a great strategy. And last but not least, your own product manufacturers can be a surprising source for cost-effective product kitting. Don’t forget to visit ShipBob to get the best deal possible on order fulfillment. Click here to speak to a representative and get $100 off. Hey, nice post. You have some great information and it was really valuable. Read the whole thing but I do have a question. 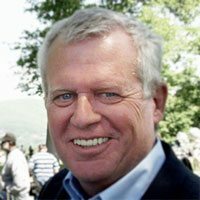 Do you recommend any third-party fulfillment centers? 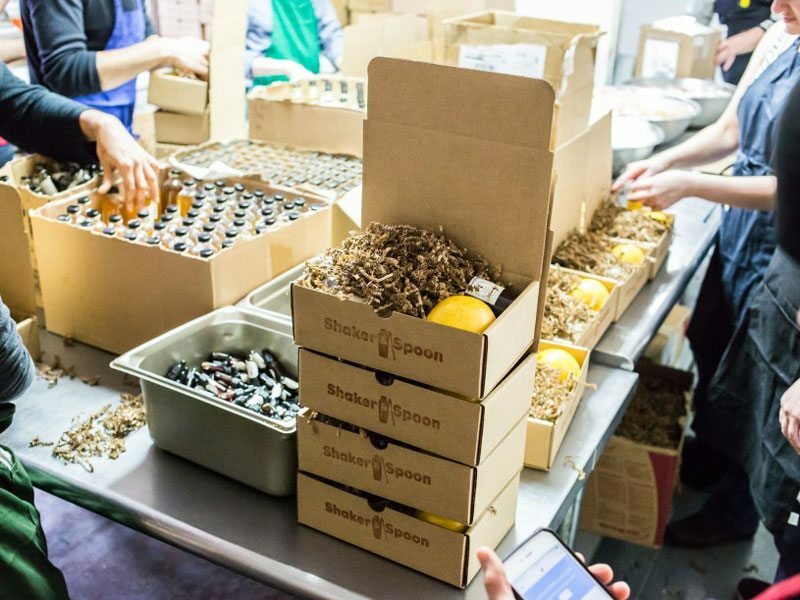 We recommend a few that are particularly startup and small-biz friendly, but different fulfillment centers are better-suited for certain business models than others. Some specialize in single-item shipping, some in multi-sku orders, some are best for high-volume small orders, others for large, heavy items or white-glove ltl oversize service. We have two fulfillment company comparison guides (Fulfillment Buyers Guide and a Review of 6 Top Fulfillment Companies) that will give you an idea of the range of services and specialties out there. But, there are thousands of reliable fulfillment companies, so we usually recommend you start your search with FulfillmentCompanies.net, which is a free fulfillment matchmaking service with a huge stable of prescreened partners.